When Wellington musician Pati Umaga was young, he and his brothers were doing well at rugby and heading towards playing at a representative level. But their father didn't like rugby and told them to start a band. "In Pacific culture you don't argue with your parents so we started a band. Now, I can see we were steered in the right direction," Pati says. Pati's younger cousin, Tana Umaga, went on to play for the All Blacks. Pati often jokes that he would have been the first Samoan to captain the All Blacks if his father hadn’t forced his sons to form a band. Then an accident in the shower in 2005 (10am on 26 May, to be precise) left him paralysed. For two years after the accident, he was afraid to go out of the house in his wheelchair until he sought counselling. Since then, however, he hasn’t looked back. He got involved in consumer groups and sat on advisory boards with the aim of finding out what services and support were available for disabled people. He’s also travelled to international conferences in Britain. 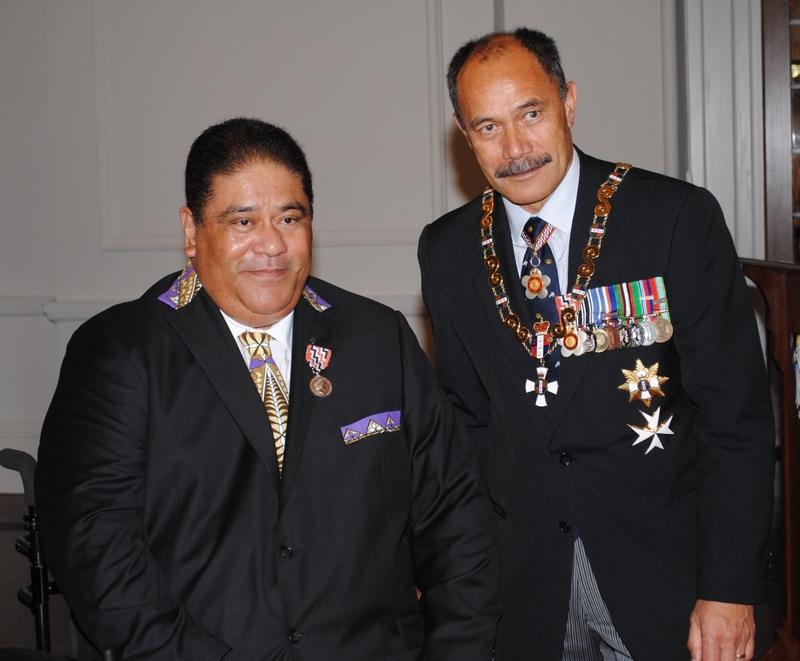 “I found out there weren’t many Pacific people at that table,” says Pati, who received the Queens Service Medal in 2012 for his advocacy work and services to the Pacific community. These days, he reckons he’s more active than he was before his accident. “It’s given me strength and made me more appreciative of life. I don't take things for granted anymore and I’ve developed courage to break through the darkness." Before his accident, Pati was the bass player in the Holidaymakers, which had a number one hit, Sweet Lovers, in 1988. 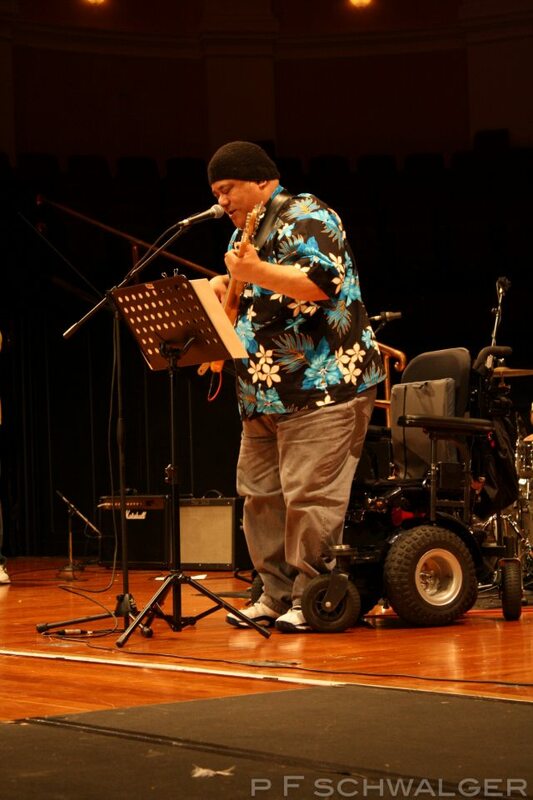 These days, he plays in the band Kabasa and has teamed up with Auckland’s PHAB Pasifika’s inclusive dance troupe Pasifika PHusion to make a music video celebrating dance for people of all abilities. The aim of the video is to break down stigma and stereotypes surrounding disabled people, showing the public what disabled people are capable of, Pati says. He hopes it will have wide appeal and promote the power and positivity of the arts, and what music and dance can do for everyone. "Music feeds the soul and it's an artform that can do a lot to build confidence and performance skills. Participating in the arts also connects people to others and also to themselves. Along with his policy work for ACC and the Ministry of Social Development, Pati has been involved in developing policy for the United Nation's Convention on the Rights of Persons with Disabilities. New Zealand is one of 160 countries that are signatories to the UN Convention. "It’s a binding contract and New Zealand reports every year to the United Nations on its progress towards implementing the UN’s policies," Pati says. In New Zealand, there are a number of disabled people’s organisations (DPOs), which are organisations run by and for disabled people. Pati is keen to set up a DPO for Pacific peoples in New Zealand. 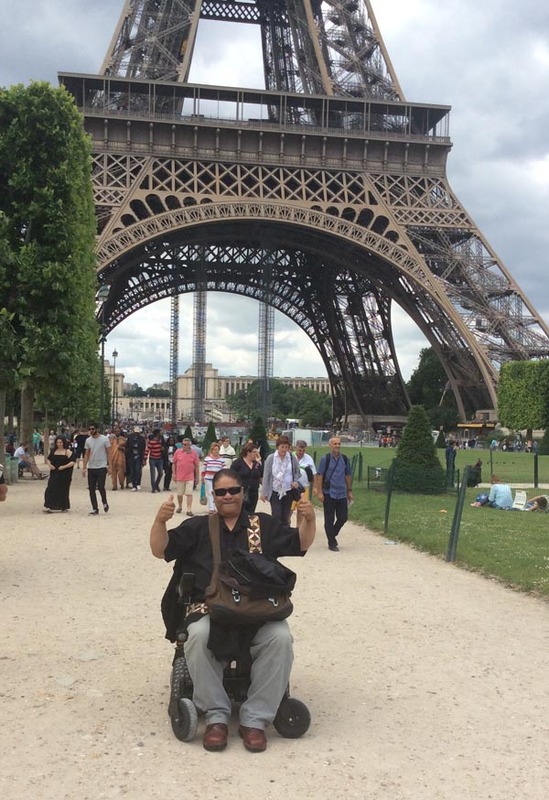 "It’s good to get our people together, to be the voice of change and the voice of the consumer – to build an organisation run by and for disabled Pacific people,” Pati says. “I believe that disability in the Pacific still has a lot of catching up to do in terms of how many of our people see disabled people. Attitudes of shame and curse still prevail. "People say we're disabled because our family has done something wrong in the past. I'd like to see us break away from the stigma and adopt a positive view of what disabled people are capable of. Original generation time 1.6886 seconds. Cache Loaded in: 0.0501 seconds.